Napping is now an acceptable activity in libraries – at least, for students attending the University of Michigan in Ann Arbor. The university launched a pilot program for napping stations to be installed into their libraries for the fall 2014 semester. According to Time, the rooms will be “first-come, first-serve [places] with a 30-minute time limit on snoozing.” Students can take a quick nap to refuel in between classes or before or after studying. This invention of a napping station seems like an idea that should be utilized by more college campuses around the nation. If you have ever walked into Mugar the week of midterms or finals, at every corner you turn there are always be a college student slumped over his or her laptop or backpack trying to catch some extra Z’s. With napping pods, students will be able to take a short nap and not risk over-sleeping (and therefore missing that test or not studying enough) while still being able to feel refreshed and continue studying. The National Sleep Foundation lists tips and types of napping styles on their website, which any college student would benefit from reading. In addition, a new study has found that sleeping in is actually healthy for teens. The American Academy of Pediatrics said that school districts should begin at 8:30 a.m. or later for middle and high school students. Though we no longer fall into that category, it’s nice to see that sleeping in may not be as bad for us as our parents think it is. As an advocate for sleep, I’m happy to see that napping and sleeping in are being seen in a positive light. 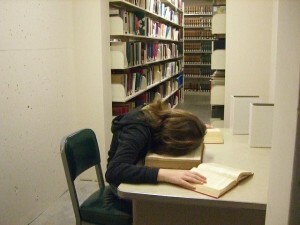 Maybe before I graduate I’ll be able to nap (without shame) in Mugar.